Apartment buildings in Tin Shui Wai are a location in the New Territories no tourist would willingly go to while visiting Hong Kong. They were built in the late 1980s in place of an old fishermen’s district as an area for the poorest Hong Kong dwellers, and soon acquired quite a bad reputation in the media. The news coming from Tin Shui Wai spoke of unemployment, home violence, murders and suicides. For the protagonists of her film, Ann Hui chose locals whose lives are very distinct from the media reality. She shows Tin Shiu Wai from the perspective of women, who wake up every morning to the struggle of providing for their families and building relations rooting them in the anonymous space of the apartment buildings. Cheung (Paw Hee-ching) is a widowed single mother working in a supermarket, and a skilled durian peeler. 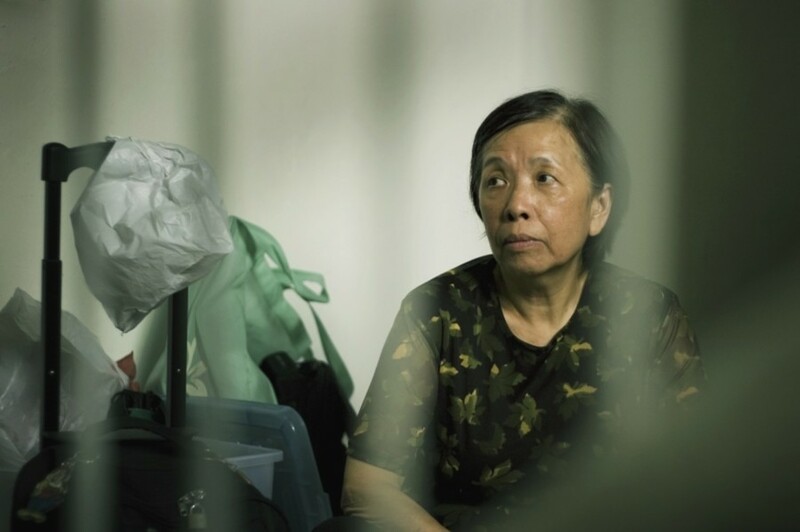 She befriends an older woman, Ms Kwai (Chan Lai-wun), whose life is also filled with everyday hardships. Their stories portray Hong Kong from the perspective of its inhabitants, whose modest effort have been building the current prosperity of the city for decades. This low-budget production, made in a documentary convention, brought the director and the two actresses awards at the 28th Hong Kong Film Awards gala, and Ann Hui’s style was compared to the work of Yasujiro Ozu. The director continued her critically acclaimed portrait of Tin Shui Wai a year later in "Night and Fog" (7th Five Flavours), whose Chinese title includes the name of the location, this time showing it from the perspective of Chinese immigrants.